The event started with some brief opening from Tia and Ce Carnellin. The first brand to started the event was V10 Plus and Mr. Eddy representative from V10 Plus Indonesia came to introduced us the V10 Plus. We, bloggers, got three Water Based Peelings from V10 Plus. This is the most famous peeling from V10 Plus, it is well known for their natural ingredients. It was made from rice extract and seaweed. Mr. Eddy asked us to try the peeling on the back of our hand to see and feel the peeling right away. Hahaha, I was shocked by how many dead skin cell that showed up, it was like a reminder for me to use body scrub. 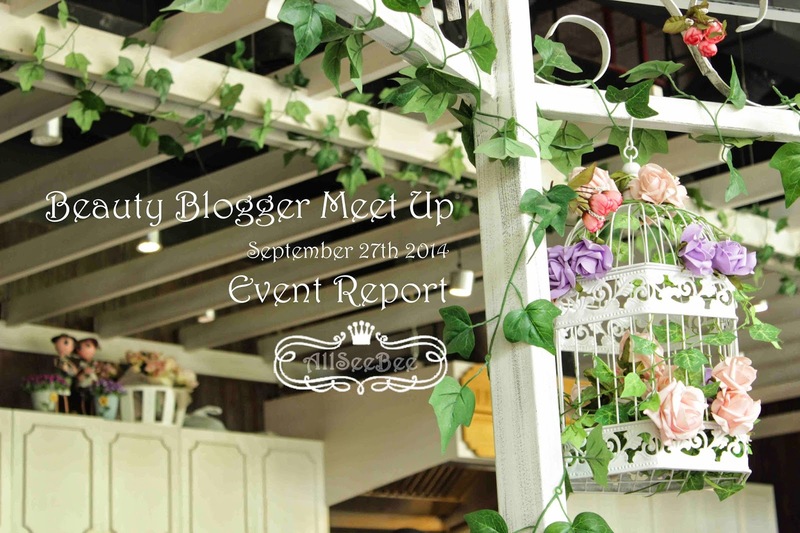 These are what MakeOver gave us on Beauty Blogger Meet Up Event. As already mentioned on the event banner, there were makeup demo by Endi Feng. Hani volunteered herself as a model that time. Oh yeah, there was a very good tips from Ko Endi about applying foundation, that was 'If you have a very light shade of foundation, it doesn't necessary to apply the foundation to entire face, just apply it to the center of your face'. Note to that Ko Endi! As when he began to draw Hani's eyebrow, he prefer to pull the eyebrow up to know where the arch should be drawn. Ko Endi also gave us a trick in applying eyeliner with eyeliner pencil. 'Instead of using the tip of the pencil, use the side of the pencil and draw the eyeliner in one stroke to get a smooth finish'. Next one was from ZAP, permanent hair removal treatment. 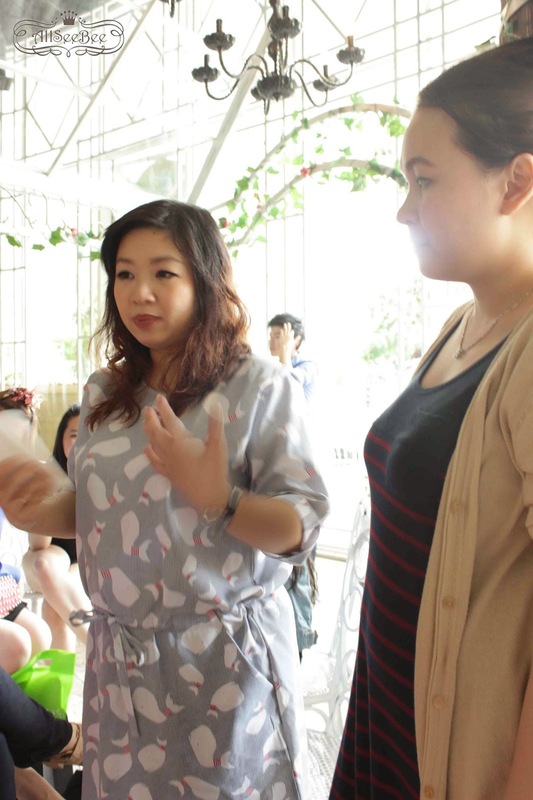 The representative of ZAP Indonesia explained about the process of hair removal, ZAP using safe process to remove and prevent the hair to grow again by using lighting method. To get the permanent result, it requires about eight times treatment. This is something that I like..
Sally Hansen Indonesia kindly gave us their famous Airbrush Legs and Vitamin E Nail & Cuticle Oil to try. There's also a CD that contain about nail arts. This time was eyeliner demo by Carryna with SilkyGirl. SilkyGirl gave us Double Intense Gel Eyeliner in Pure Black, Moisture Balm Lipcolor I got it in Cherry and Natural Brow Pencil in Dark Brown. The model for the eyeliner demo was Fweegy. Carryn gave us tips and trick in applying eyeliner based on different eye shapes. For example, if you have wide eye, try to apply the eyeliner only on your lower lash line. As if you have slender eye shape, you can extend your eyeliner to give big eye effect. 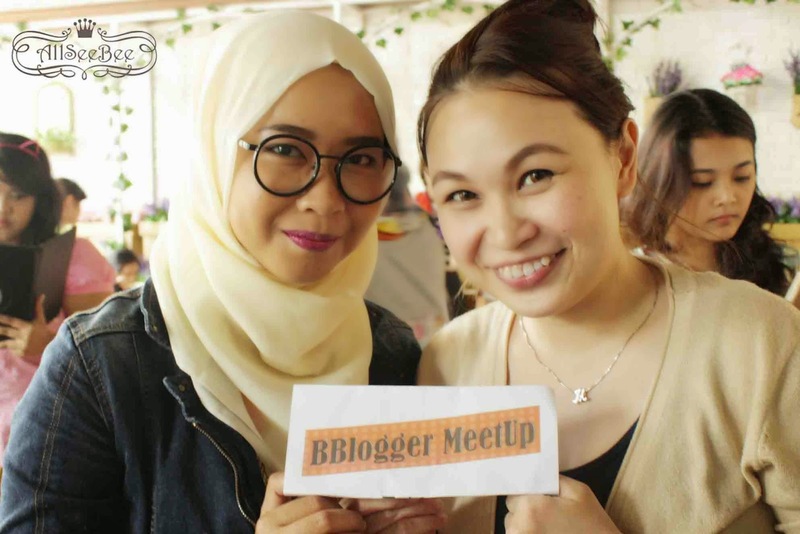 As part of Kawaii Beauty Japan, Tia and representatives from Kawaii Beauty Japan explained us about Kawaii Beauty Japan and how to be a blogger on Kawaii Beauty Japan. After that, it's time for sharing with the senior beauty blogger, Ce Carnellin and Ce Meilani. 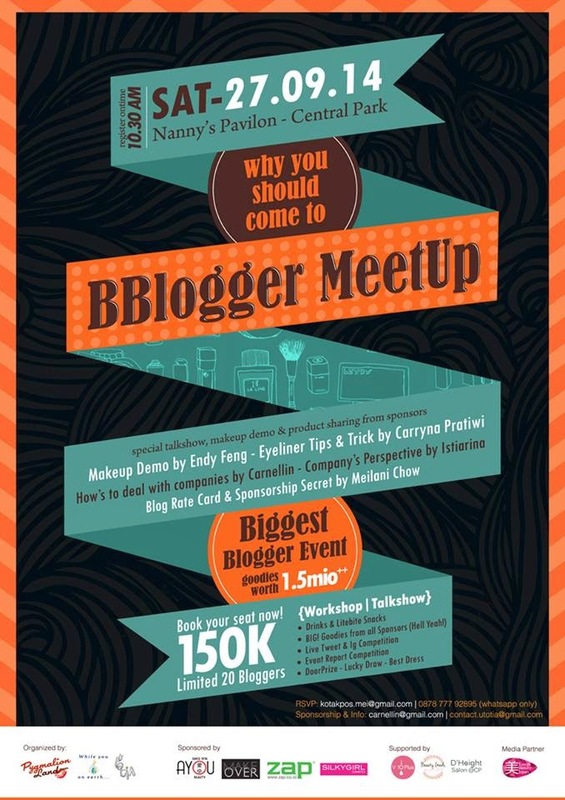 They gave us an insight perspective as a blogger that have to deal with many kinds of company. Also, they gave us important tips and trick on blogging. You want to know what is the most important thing in blogging? It was consistent in blogging! That simple, yet, I have to admit, not easy thing to do. 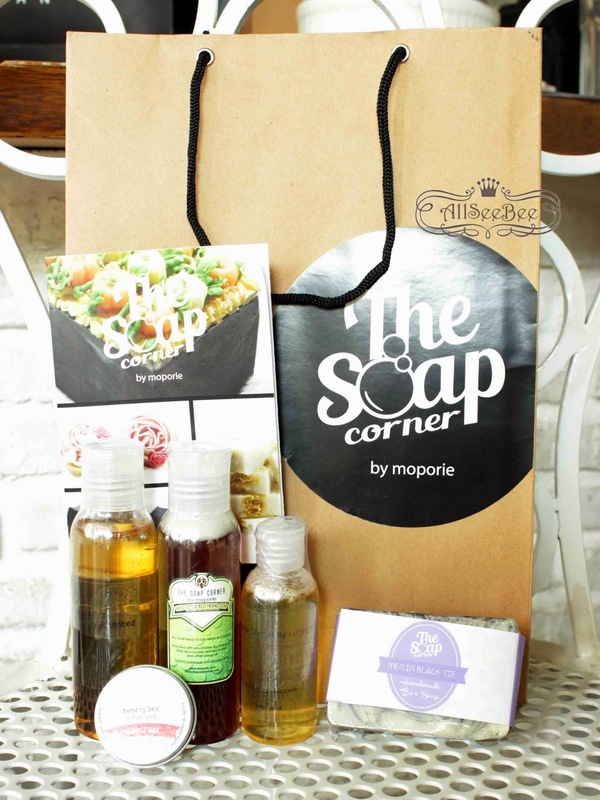 Not only body soap, but also brush soap and lip scrub. This was the first time I brought home such many products from one beauty event! I went to an event at Chicago restaurants several years ago and fell in love. When I got engaged, we didn't even shop around. It was this place or bust.